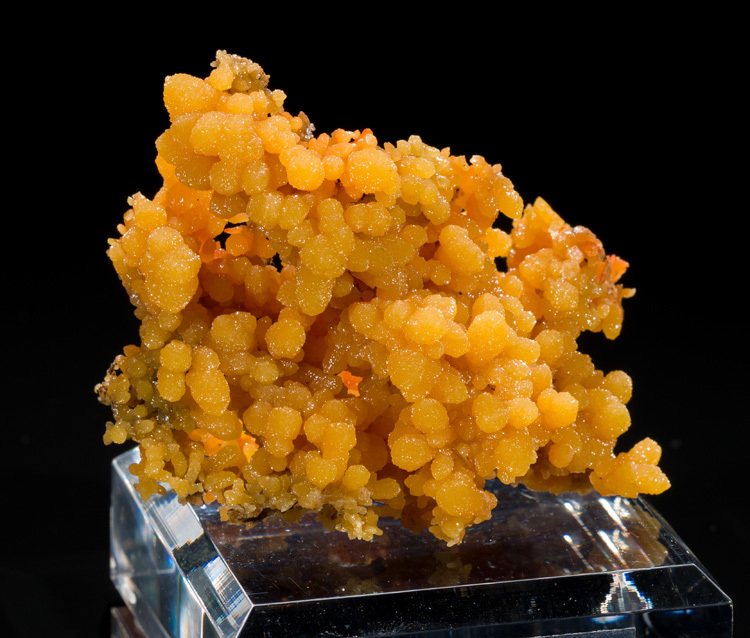 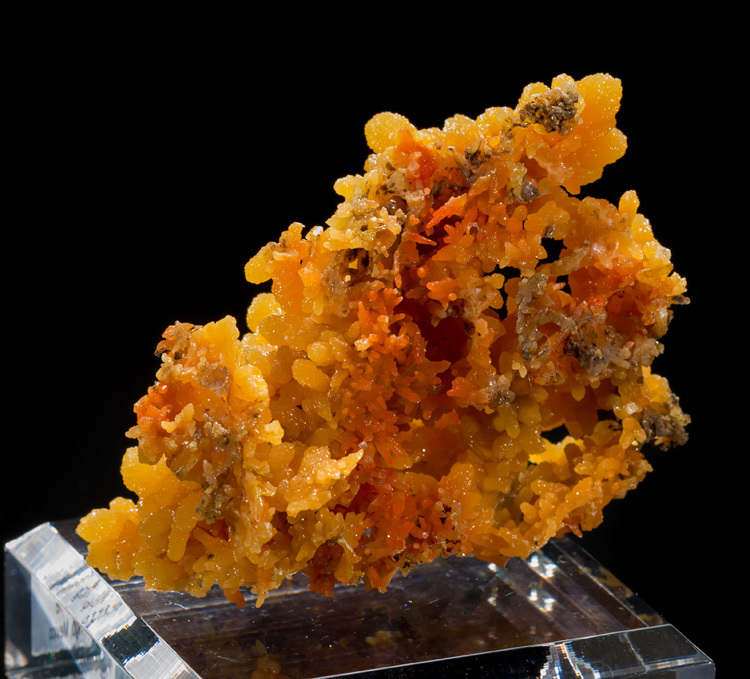 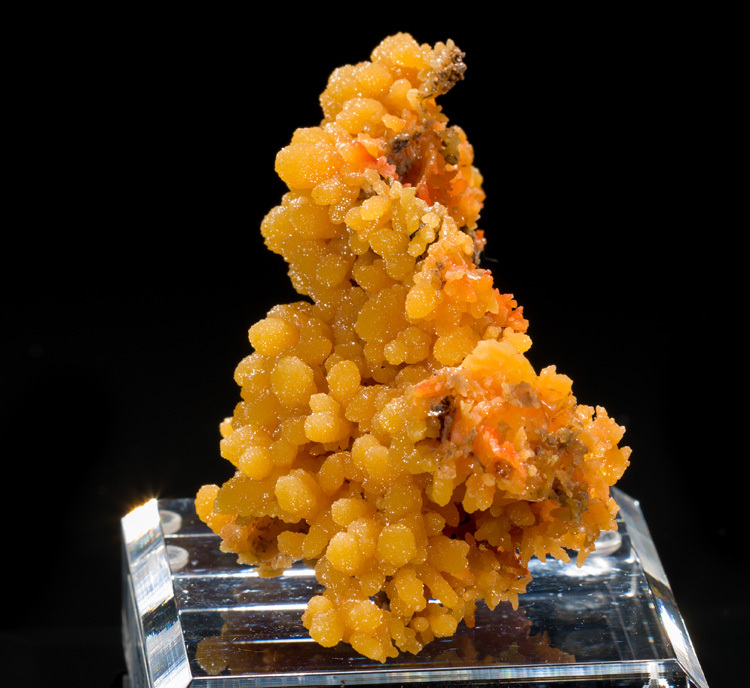 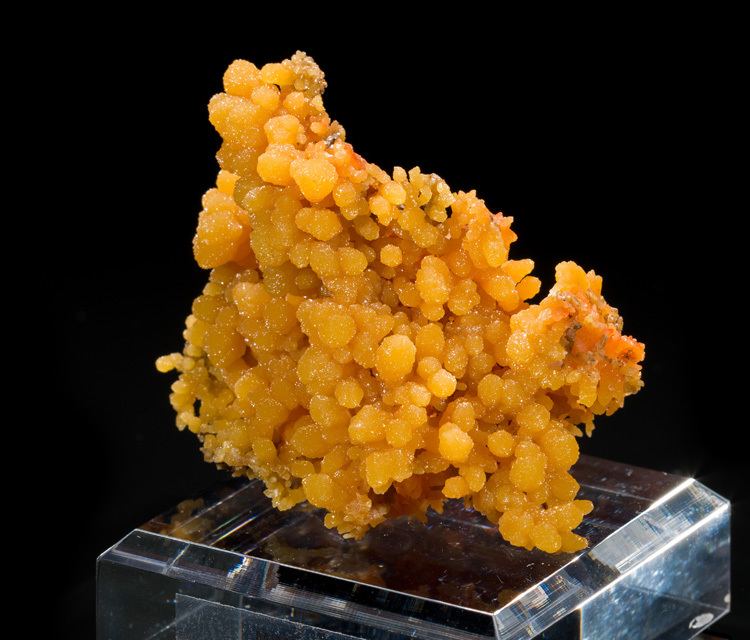 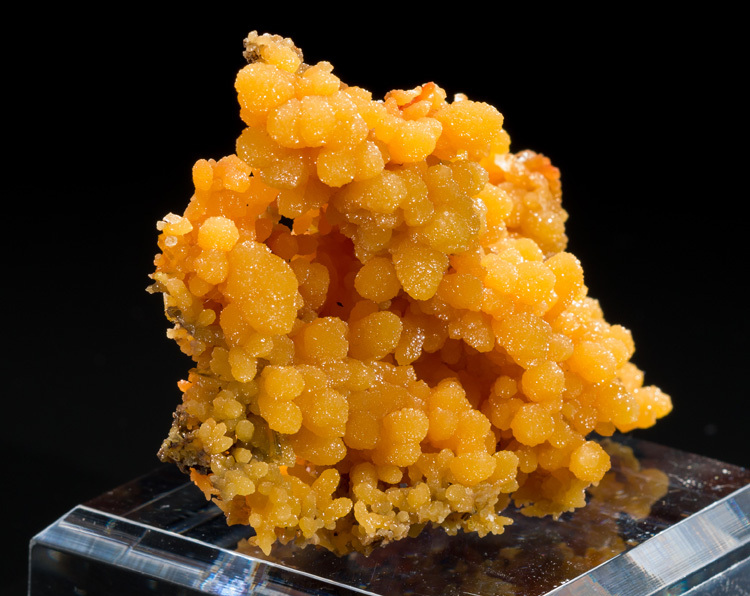 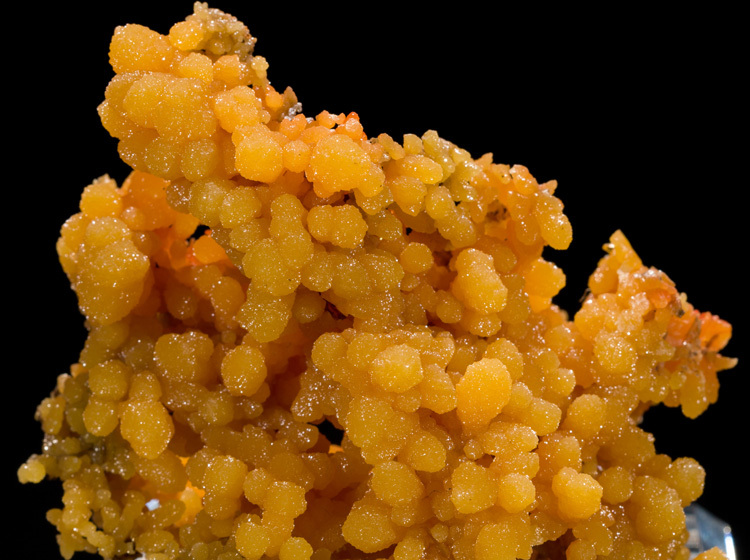 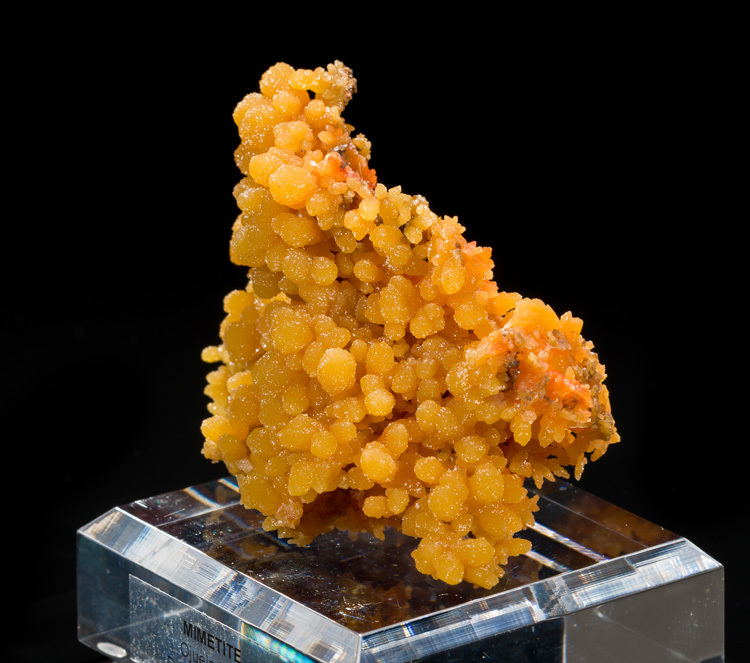 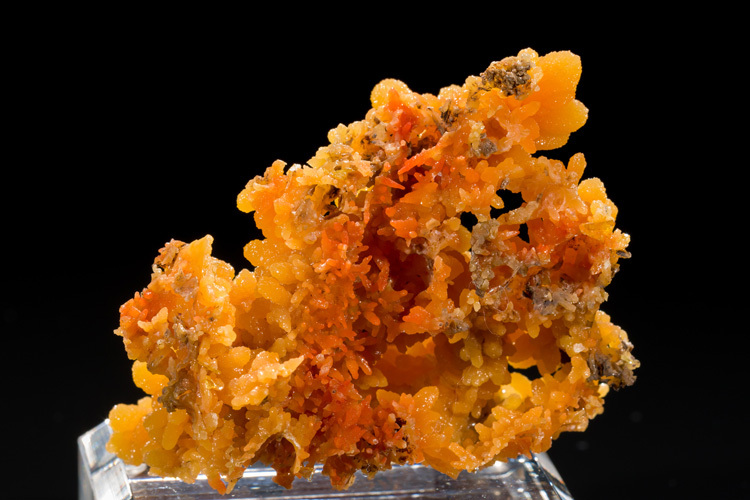 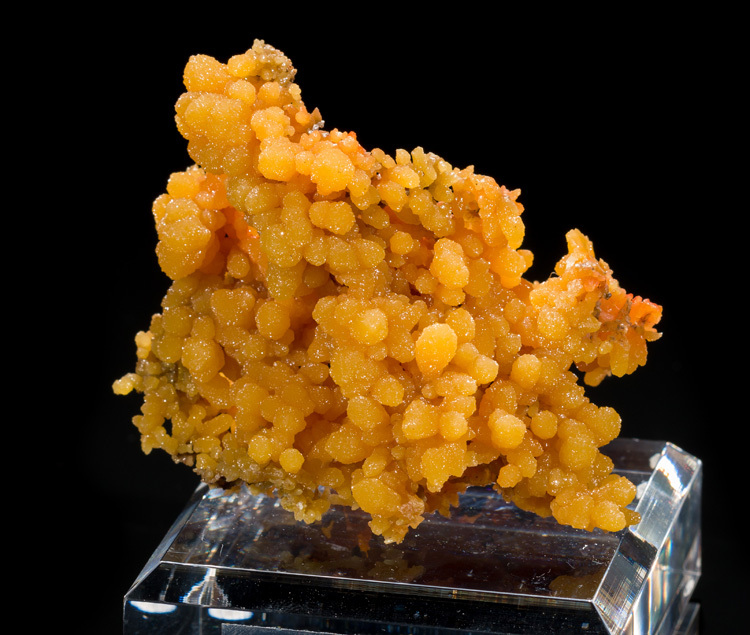 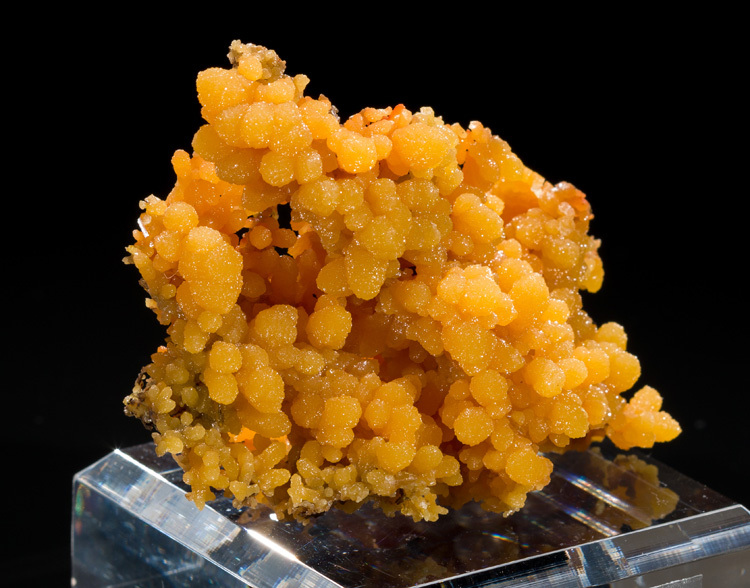 This is a top quality mimetite specimen with outstanding, saturated orange color. 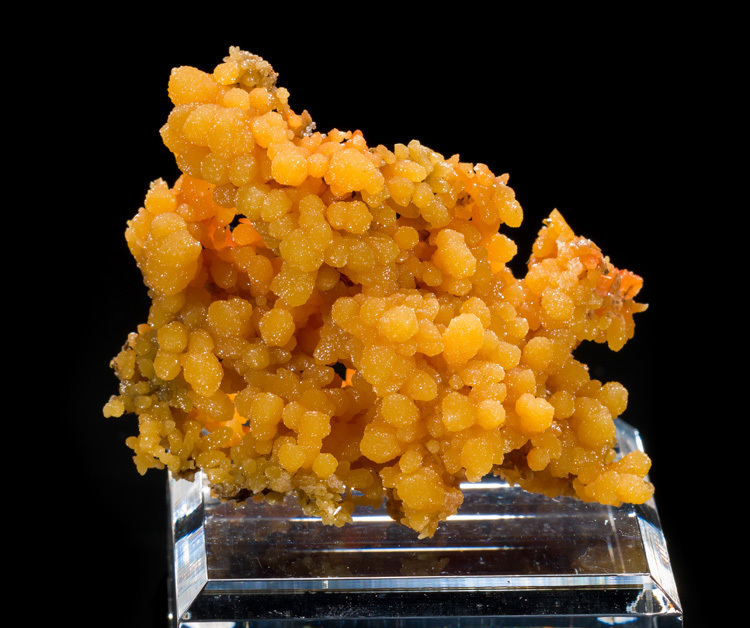 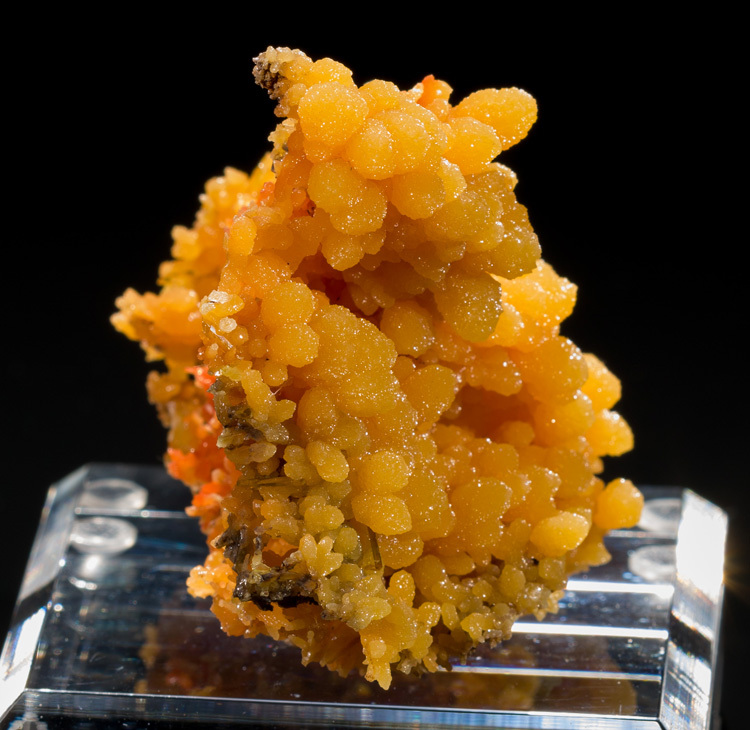 The front side is covered with mimetite balls around 1/2cm in size, and the backside shows a dark-orange concentration of more elongated crystals. 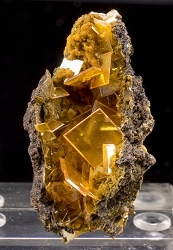 The condition is excellent with no damage of any consequence that we could find. 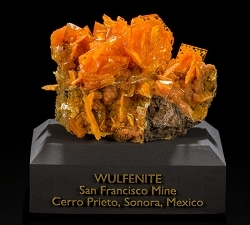 This excellent example really adds a pop of color to any mineral display case!